NJ218 N218EM Bearing, N218EM bearing 90x160x30 - Shandong Liulian Bearing Co.,Ltd. 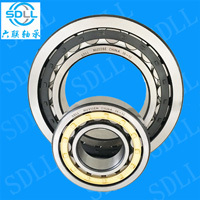 We are a factory specializing producing and exporting cylindrical roller bearing. We could also produce according to your special requirements, we will provide a more favorable price. How can you buy NJ218 N218EM Bearing on the Internet? High quality NJ218 N218EM Bearing, Just click the button " Contact Now " to mention your purchase Requirement , Quantity and Contact Method of your requested Bearing Item No. N218EM. then click the button " Send " The web site will make your purchasing information sent to the supplier's mailbox, who will come to contact you upon they get your information at the first time.